Melbourne is a food lover heaven! There are so many good restaurants and you can slice and dice them in so many ways. 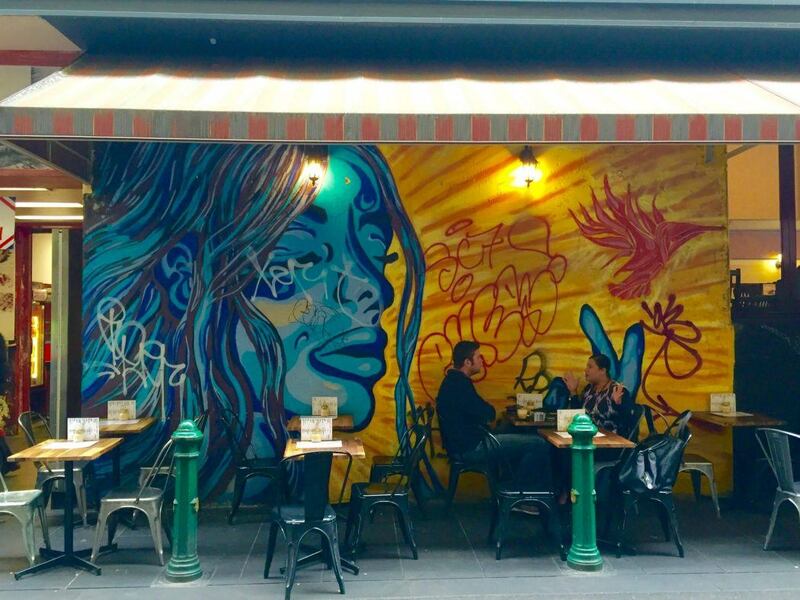 This is my view on the best Mexican Melbourne restaurants I have visited and others that come highly recommended. 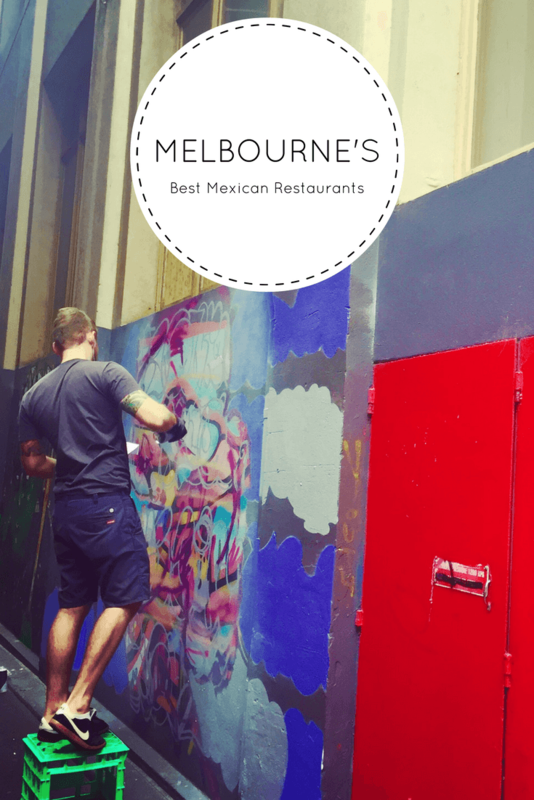 Would love to know your view on the best Mexican food in Melbourne. Most of those listed below are in some interesting neighbourhoods – check out my Melbourne’s Hidden Gems post here. If it is modern Mexican you are after head to The Newmarket. There is no sloppy sour cream or heavy on the guac here. The food is fresh and light and flavoursome. You can do a mix of smaller sharing plates, or a couple of sharing plates and then main meals or whatever combination you wish. Personally, I prefer the smaller sharing plates as I think they have some of the more interesting flavour combinations – and I prefer to try more things whenever possible. So it is less common to think of Hawthorn in Melbourne and great food! But Fonda is great. It is very big and open and was busy even on a rainy Thursday night. It is obviously the place to go with a girlfriend as most tables seemed to be for two girls having big catch ups. I was no exception! So there is a nice wine list – I had a lovely Pinot Gris and there was a good cocktail list. Food wise we started with their sharing plate which was delicious. The guacamole was outstanding. I am very picky on the guacamole front so this is big coming from me! Then we had the salad without any protein which was also delicious – black beans, quinoa, roasted corn and lots more guacamole. And then the chicken quesadillas which were a bit of a sensation. 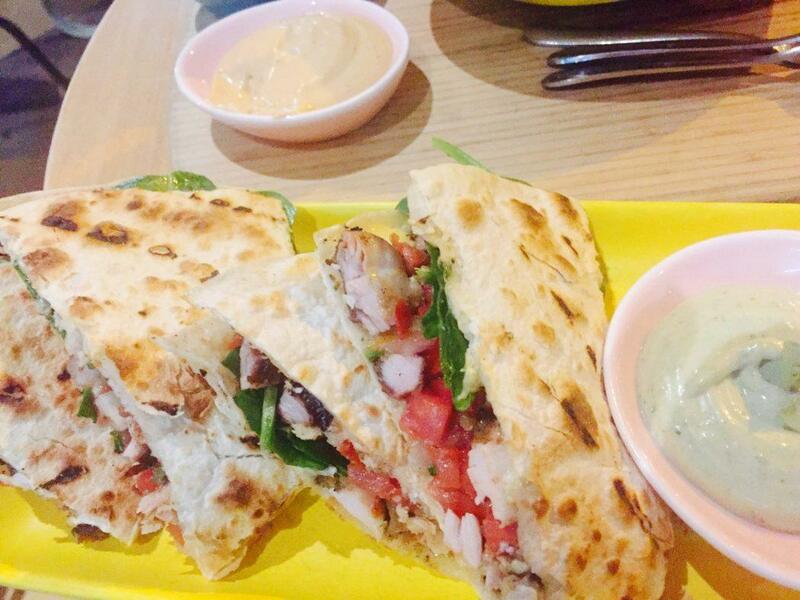 A lot of quesadillas are light on the filling – these guys were heavy on it and that paid off. Delicious, fast friendly service and a reasonable bill – I highly recommend! A great Mexican restaurant Melbourne Hawthorn. 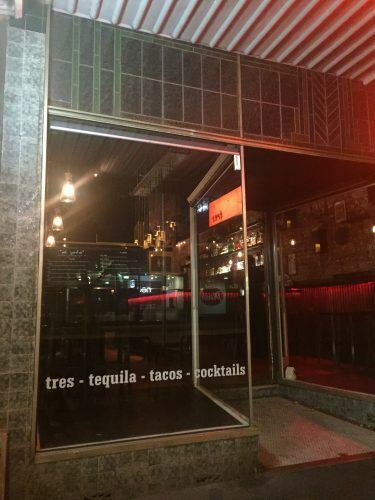 This is a more casual dining/drinking experience on Bridge Road Richmond as my third best Mexican Melbourne. 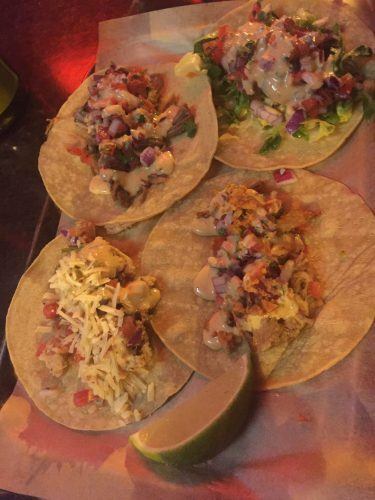 We were delighted to turn up and discover that it was $3 taco Tuesday at Tres Richmond! There are indoor and outdoor seating and quite a bit of it. We did outside because we could and to have a ciggie. I had a few glasses of a very nice Pinot noir as well. Then on to the food. 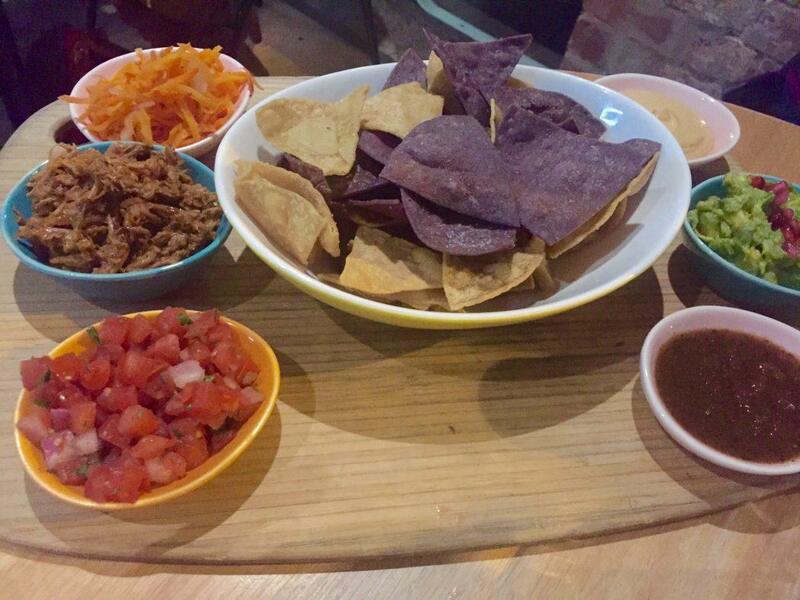 We started with outstanding corn chips that seemed homemade and great guacamole – just the right level of ripeness. Then bring on the tacos! So these are with tortillas rather than corn shell. We did one of each – chicken, beef, pork and prawn. They were delicious but not large. We also got a delicious avocado salad – don’t know what was in the dressing but it was a sensation! Still hungry? Check out my post on Melbourne’s Best Brunches. So the key thing is we probably should have ordered about 6 tacos plus the salad as the tacos are only a serving of one. Or maybe even one or two more – especially if it’s Tuesday night! In addition to Tolarno’s The Prince is a fantastic boutique hotel in St Kilda. It is well known for its fantastic spa and an amazing restaurant. Click here for latest prices and availability. 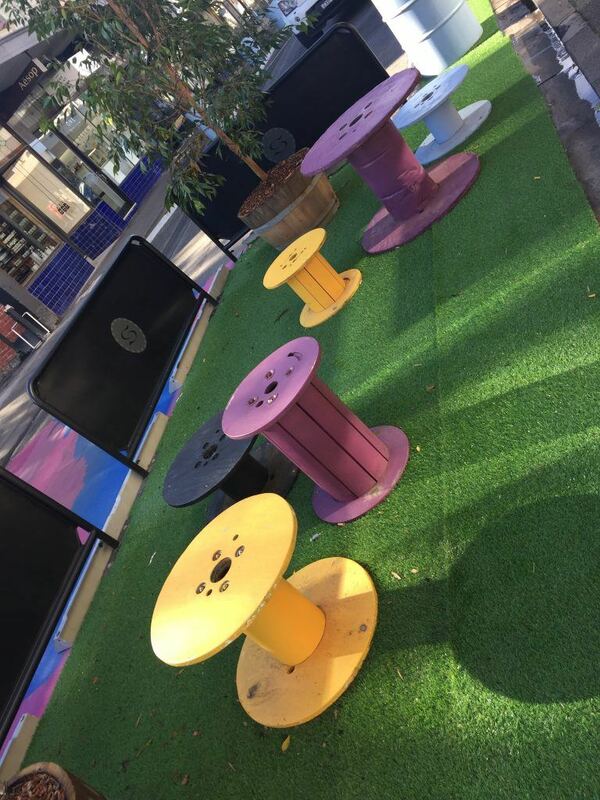 Another great area in inner-city Melbourne is South Melbourne. Coppersmith Hotel is a gorgeous boutique hotel that is on busy Clarendon street. It has a tram stop literally out the front which is super convenient. It also has a great pub and restaurant. Click here for availability and prices. If you want to stay right in the heart of the centre of Melbourne you can’t do better than QT Melbourne. QT has a few boutique hotels in Australia and they are known for great style and fantastic bars and restaurants. They are so good that the locals go! Click here for prices and dates. For a very luxurious boutique experience check out the Lyall. The Lyall is in one of Melbourne’s most upmarket inner-city suburbs South Yarra. This neighbourhood is filled with shopping and great restaurants. The Lyall is also a spa and has a small gym. Click here for latest prices and availability. Once in Melbourne, the best way to get around is to hire a car. Melbourne has trains, trams and buses. The city centre or CBD has a free tram travel area. For payment, you will need to get a Myki card. Myki has an Explorer Pack designed for tourists. 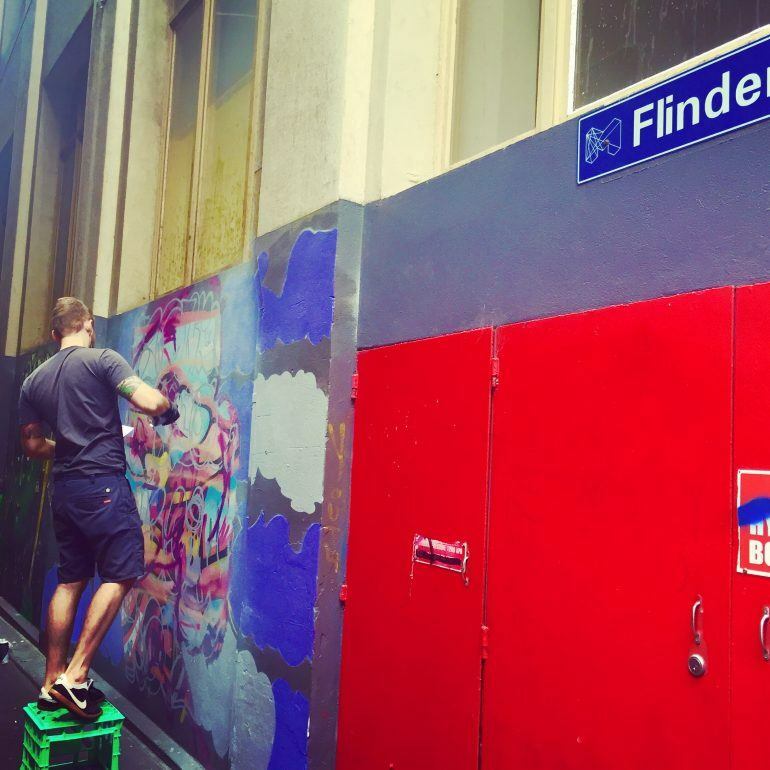 Tours are a great way to get to know a city – and Melbourne really suits itself to tours. Don’t leave home without taking out some Travel Insurance.